SuperPro Bushings for the Jensen Healey and Jensen GT suspension. We are very excited to offer the finest supension bushings available. JHPS is one of the only places in the U.S. that stocks these very hard to find Jensen Healey part numbers and you won't find a better deal! 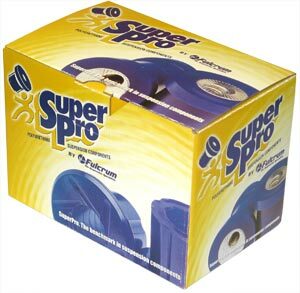 Why SuperPro? SuperPro is a revolutionary polyurethane elastomer based material and is a class of "Thermosetting" synthetic polymer that involves the reaction of various types of isocyanate resin with curing agents to give an extremely durable material with the best features of rubbber and plastic. It offers the benefits of the original, now gone, "Metalastik" bushings without the mushiness and lack of control. It's far superior to common urethane replacement bushings as it offers improved ride comfort and a perfect fit (no more hunting for new bolts and milling bushings to fit). SuperPro polyurethane product range is fully backed by a professional research & development program based on many years of hands on experience in the suspension industry. Material The Polyurethane used has properties of extreme resistance to abrasion, low compression set, high tear strength and a resistance to oils and solvents make it ideal for automotive applications. These properties lead to a resilient product that is highly versatile. Steelwork The crush tubing is an integral component of the suspension bushing system and is necessary for free pivoting The crush tubes are made to precision tolerances to ensure that the precise fits are maintained. All SuperPro tubes are made of STEEL & ZINC plated for corrosion protection and appearance. In some applications SuperPro incorporates end knurls and hardened tubes to provide positive location. As required SuperPro provides presion machined steel SHELLS to allow the installer to quickly and easily replace worn components. The Double Helix The double helix is used on the inside of the bushing. This design is primarily used on shackle bushings providing a region for grease to travel along. This allows the boundary layer of grease to form between the inside diameter of the bushing and the outside diameter of the tube. The double helix is extremely successful in greasable shackles as the grease can travel from the centre of the bushing, along the helix and out to the grease grooves in the head of the bushing. KNURLING This is used on inside diameters of bushings to enable unrestricted pivoting of the poloyurethane bushing around the crush tube. The knurling has two inherent design advantages. The knurling reduces the surface area of polyurethane in contact with the crush tube. This reduction in surface area results in less frictional forces being developed. The SuperPro knurl bore keeps the lubricating grease intact for the life of the bushing, and eliminates the necessity for periodic re-greasing. BULLET GROOVES When polyurethane is used to replace rubber in many suspension applications, it often has to accommodate large variances in tolerances. Rubber is not a precision component and will compress or distort readily to allow fitment, which in turn creates binding of the bushings. This is one of the main reasons why SuperPro polyurethane is superior to rubber bushings, as they have a free pivoting point and not a torsion pivot like rubber. SuperPro had to develop a method of achieving the correct pre-loads while still accommodating a range of variances in sizes. Bullet grooves allow the bushings to flex and accept a much wider range of sizes while still maintaining free pivoting of the bushings. JHPS Ltd. is a distributor of SuperPro suspension bushings and we can supply bushings for a wide range of vehicles. More store products coming soon, but until then, email us for your needs.